When you start talking to technical co-founders of today’s startups, most of them talk about how they’ve been coding in some form or another since they were little kids. Such is the case for Jon Mattingly the co-founder of Louisville startup SurfScore and their newest product Kodable. Mattingly started “fiddling” with computers at the age of 6, and now he and cofounder Grechen Huebner are setting out to teach a new breed of grade school kids how to code. 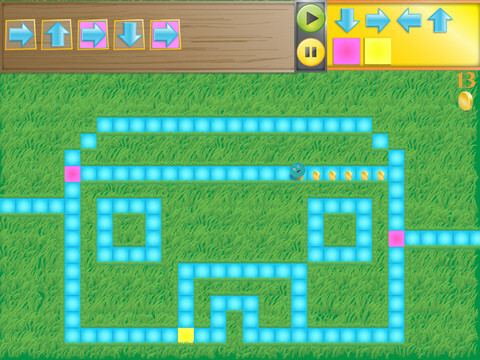 Kodable is a new iPad game that teaches kids aged five and up how to code. This is taught by teaching the fundamentals of programming and problem solving in a fun way. Kids are learning these fundamentals without even realizing it. “It introduces the basic concepts of programming, including conditionals, loops and functions, in an abstract way simple enough for young children to understand. Kids give the characters, called fuzzes, commands that guide them through a maze. This challenges children to think through a problem in multiple ways before deciding on a solution, then rewards them for choosing the most efficient path.” Huebner told us in an interview. There’s a variety of software out there now that teaches even younger children the fundamentals of reading. Huebner and Mattingly thought that if those skills could be learned at an early age, programming could be taught the same way. Mattingly credits Hubener’s artistic ability with actually making these skills fun to learn and easy to understand. Check out the rest of our interview with the SurfScore/Kodable team below. Our company, SurfScore’s first iPad game. 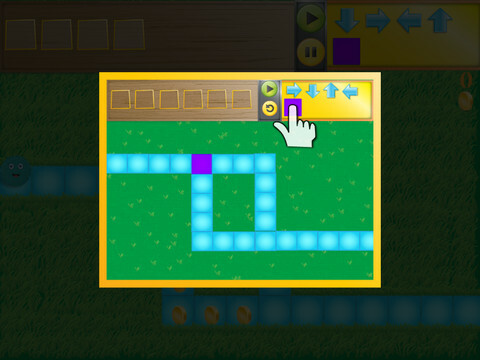 Kodable teaches kids 5 and up the fundamentals of programming and problem solving in a fun and interactive way. It introduces the basic concepts of programming, including conditionals, loops and functions, in an abstract way simple enough for young children to understand. 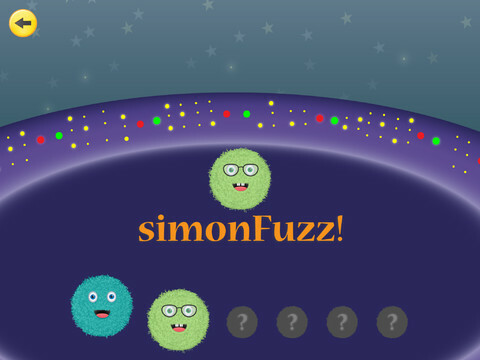 Kids give the characters, called fuzzes, commands that guide them through a maze. This challenges children to think through a problem in multiple ways before deciding on a solution, then rewards them for choosing the most efficient path. Jon Mattingly started programming, disassembling and fiddling with computers at age 6. In high school he focused on football and dedicated four hours a day in the gym to improving his game. He walked onto the University of Louisville football team his freshman year of college. During college, Jon began to focus on entrepreneurship and programming. He was accepted into the nationally ranked entrepreneurship minor and won the Kentucky State Business Plan Competition in 2011. Jon graduated in May with a BSBA in marketing and minor in entrepreneurship. Grechen Huebner and Jon met their sophomore year of college at the University of Louisville. Grechen Huebner is a naturally creative person, as well as a kid at heart, who has always possessed a love for learning. She graduated from the University of Louisville with a degree in communications, while teaching herself graphic design. She has cultivated an innate ability to design eye-popping graphics and create a captivating learning environment. She was selected from the Vogt Awards committee to attend the prestigious Kauffman Foundation’s FastTrac program, where she has been mentored by some of the best minds in Louisville. The startup scene in Louisville is small, but powerful. There are great people who are always willing to help and offer advice to any startup. The people at Greater Louisville Inc have been a tremendous ally throughout the entire process. They have mentored us since May of 2012, providing us with countless connections and opportunities for exposure and improvement. There is also a tightly knit community of entrepreneurs who are always willing to offer advice and assistance wherever possible. Forge is another startup in Louisville working to create a startup ecosystem. They have brought entrepreneurs together for networking events(with free beer, of course), speaking events, and showcase events for the last year and a half. Everyone in the Louisville community is eager to grow a startup ecosystem and see the city improve. There are resources here for any talented group of innovators with drive and a great business idea. 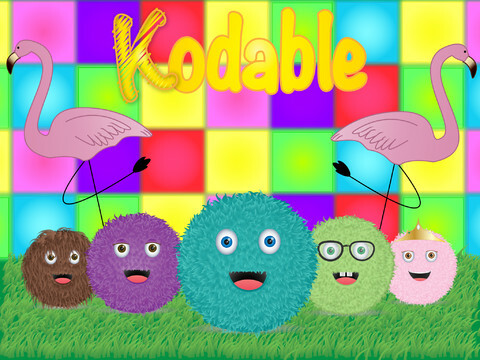 How did you come up with the idea for Kodable? We were working on another idea when I went to a baby shower and someone gave the new mom a program that teaches your baby how to read. That same week we met with several people about our startup and somehow the conversation always turned to programming. Several people told us that they wanted to start teaching their kids how to program so they would have skill set needed to build something later in life. Grechen joked saying there should be a program to teach babies to code just like there’s one to teach them to read. And voilà! Kodable was born! What problem does Kodable solve? Technology is a huge part of our lives, but not a lot of people truly understand how it works. The key to that understanding lies in developing this understanding from an early age. Kodable teaches kids problem solving skills and encourages lateral thinking while introducing basic programming concepts that will be beneficial for a life in an increasingly digital world. Grechen is our secret sauce! All of the methods to teach children programming now might do the job, but they are all either boring, ugly, or both! Grechen has the artistic ability to make something difficult like programming, look good and easy to understand. One of the biggest challenges in any company, especially a startup, is working smart instead of just working hard. It seems many startups like to emphasize the number of hours worked in a day as opposed to the amount of work actually done. We have always tried to focus on the results as opposed to the time spent, because in the end, this is the real world and results are all that matter. Our last idea sucked, so we made the difficult decision to trash it and start from scratch. We learned some valuable lessons about failing fast and focusing on simplicity. Mark Crane from the University of Louisville really helped us in the beginning stages of the company. He helped us understand how to work well together and develop work/life balance. Tendai Charasika from Greater Louisville Inc, has been an awesome advisor. He has helped us make countless connections, stay accountable, and been a great person to bounce tough decisions off. Greg Langdon was a great business coach from the Kauffman Foundation’s FastTrac program. He worked with Grechen and two other businesses and helped her gain a well-rounded understanding of business. Role Models include: Paul Graham, J.K. Rowling and Grechen’s dad, Norman Huebner who started his own insurance agency while supporting his family. We launch our game in the app store on December 3rd. After that we plan to develop a platform around Kodable, working with schools to develop a more effective way to teach children programming. You’ll see some awesome startups at the largest startup conference in the U.S.
Memphis’ Eric Mathews: What!! You Want Us To Just Find You A Technical Co-Founder?